A lovely video produced by TED's curator Chris Anderson. Like "which came first, the chicken or the egg?" this video points out the important co-dependent relationship betweem questions and answers. Are we in pursuit of knowledge? Or are we in pursuit of questions? Or both? What we choose to pursue plays a large role in who we become. "Contemplation as a method of inquiry can be a path of knowledge that has many applications in science, humanities, and the arts. Contemplative Inquiry is not opposed to conventional methods, but rather transforms and extends them. The same values of clarity and integrity and infuse contemplative explorations as have supported scientific and critical investigations. In addition to contemplative practices used in educational settings to strengthen attention and emotional balance, capacities can also be developed that support the discovery process. As Goethe has written, "Every object, well contemplated, opens a new organ in us." Engagement with works of art and natural phenomena is not only deepened through contemplation, but subtle cognitive changes take place within practitioners that support fuller understanding. Contemplative exercises can assist in the creative process and the generation of insight." "The reason why we emphasize mental training is the realization that although outer conditions are important contributive factors to our well-being or suffering, in the end the mind can override that. You can retain inner strength and well-being in very difficult situations, and you can be totally a wreck where apparently everything seems perfect. Knowing that, what are the inner conditions for well-being and suffering? That's what mental training is about, trying to find antidotes to suffering and to afflictive mental states - antidotes that let you deal with the arising of hatred, for example, to dissolve it before it triggers a chain reaction. Mental training is gradually going to change the baseline. It is the most fascinating endeavor we can conceive. Mind training is the process of becoming a better human being for your own sake and for the sake of others." 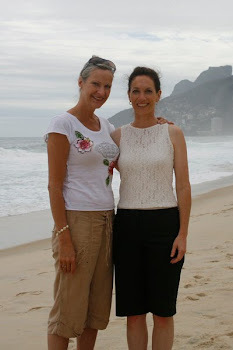 We (Lyn and Lori) met at the In2:InThinking Network Forums. We strongly encourage exploring all of the places where you might experience belonging. The practice of mindfulness is expertly taught by Michelle and Joel Levey, and we recommend them for a deeper exploration in those areas. We incorporate mindfulness and meditative practices in Playful Inquiry. 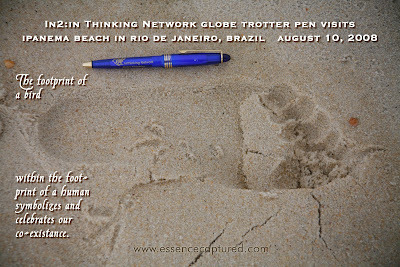 Below, we have incorporated a slightly altered piece by Viola Spolin into one of Lori's photographs from Lori and Lyn's trip to Brazil. When we facilitate a group, we mix it up. John Medina's brain rules at the bottom of our site here, reminds us that we don't like to sit around for long periods of time; we get bored because our brain is craving involvement. Part of re-integrating that knowing is modeling and practicing it together with Playful Inquiry. By keeping movement woven throughout the day, our body's circulation is stimulated, which increases our opportunities for insights, retention, and integration. Movement is one of the things that improves our creativity and allows us to maximize our intellect. 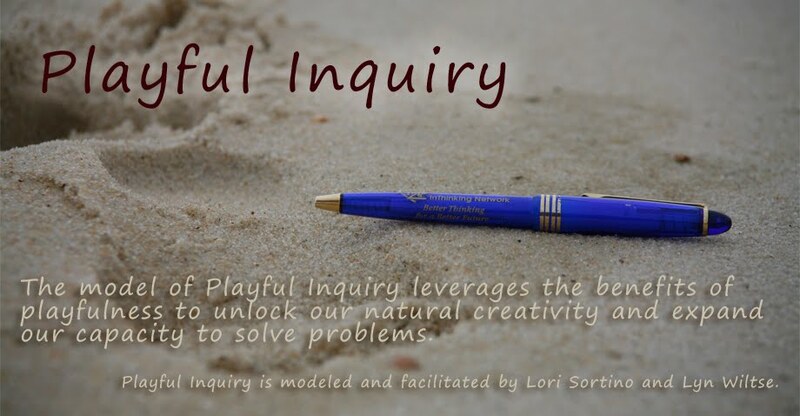 Playful Inquiry is simply the active practice of several principle ways to improve brain power, combined with articulating situations in the form of a question.